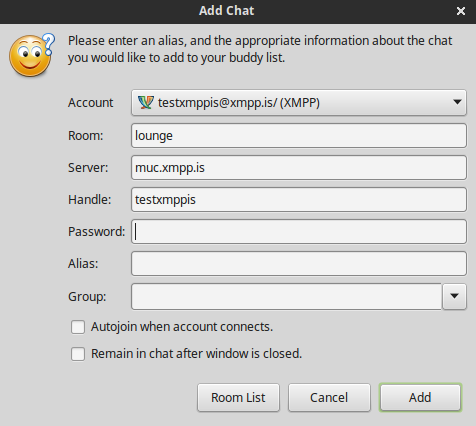 To connect to the chatroom (MUC) make sure you are logged into an XMPP account. 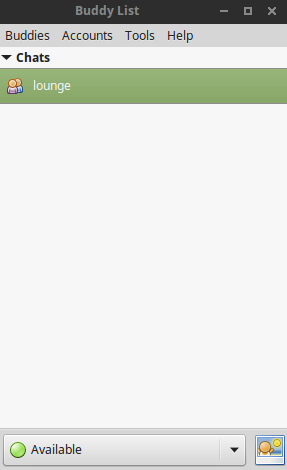 Once you are logged in go to Buddies > Add Chat and a window should pop up like this. 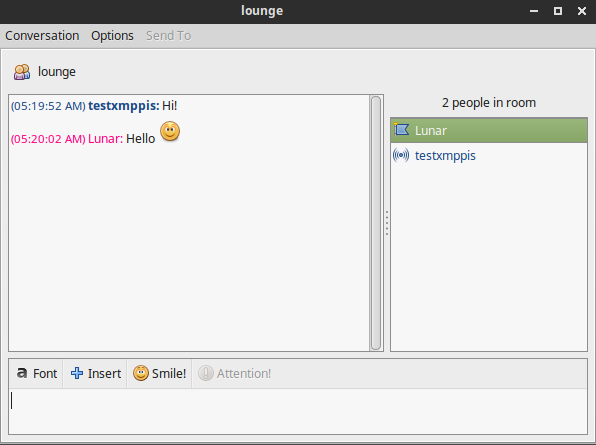 Make sure the room is lounge and the server is muc.xmpp.is then press “Add”. It should now show the room added under “Chats” like this.